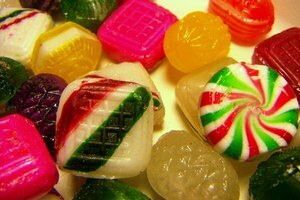 The texture of hard candy depends on sugar’s ability to solidify once it's melted and cooled to a certain temperature. 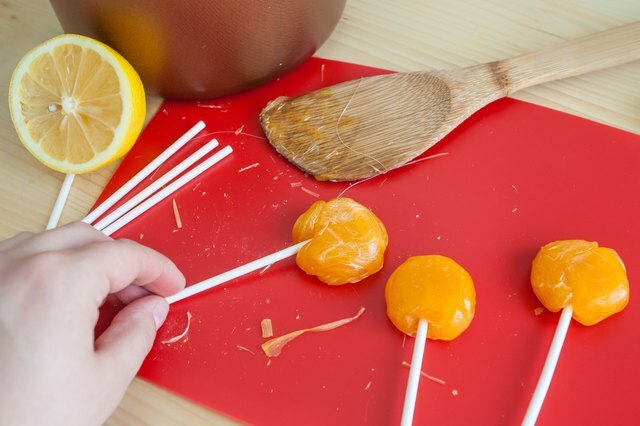 To make sugar-free hard candy, such as lollipops, use a sugar substitute called isomalt, which features the same melting and hardening properties of sugar. 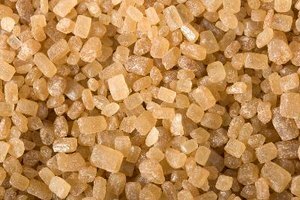 Isomalt is considered to be sugar-free, even though it is made from beet sugar. 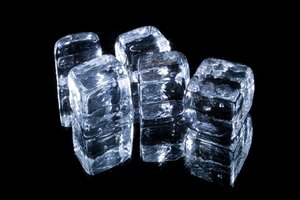 It does not absorb much water and lacks stickiness, making it ideal for making hard candy. To make hard candy, mix 4 parts of isomalt to 1 part of water in a stainless steel cooking pan and bring the mixture to a boil. 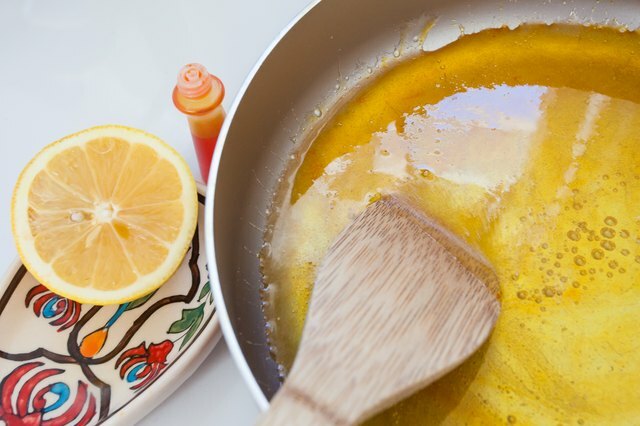 Cook the isomalt mixture on a burner that is slightly smaller than the bottom of the pan to prevent overheating the sides, which can cause the isomalt to yellow instead of staying clear. If you are cooking small amounts of isomalt — less than 3 pounds — pay careful attention, as smaller quantities are more prone to browning. Cover the pan with a lid or a piece of tented foil to capture steam and reduce the chances of crystallization during the melting process. Although you may use fruit juice in place of water to add flavor, juice is easier to burn. The hard crack stage — when it will stay hard once cooled — is 338 degrees Fahrenheit for isomalt. Using a quick-read thermometer, test the isomalt vigilantly once the mixture begins boiling. 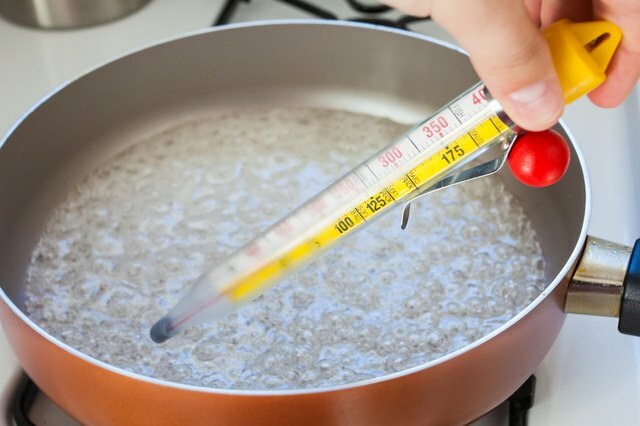 Remove it from the heat when the temperature is 333 F, as the mixture will continue heating until it reaches 338 F. The working temperature of isomalt is 300 to 310 F, so let the isomalt cool down a bit before you work with it. 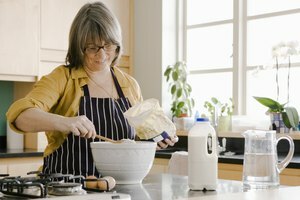 Add coloring and flavoring when the isomalt reaches 310 F. Adding alcohol-based flavorings, such as vanilla extract, too early can create a bitter taste. A 1/4- to 1-teaspoon serving of flavoring is sufficient. Use less for strong flavors, such as mint and cinnamon. Add citric acid for an appealing tartness to fruit-flavored hard candies. If you want sweeter candy — isomalt is a little less sweet than table sugar — add stevia to taste. Color your candies using food coloring, and stir in the additives until fully incorporated. Before pouring the isomalt mixture into molds, ensure that it has stayed at 300 F. To keep isomalt warm over a period of a few hours, keep it in an oven-safe container, such as a pyrex or stainless steel pitcher, and place it in an oven heated to 275 to 300 F. Pour the isomalt into candy-safe molds, such as silicon lollipop molds, but do not overfill them. 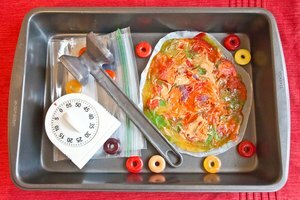 Or pour the isomalt onto a silicone baking sheet to create free-form hard candies. 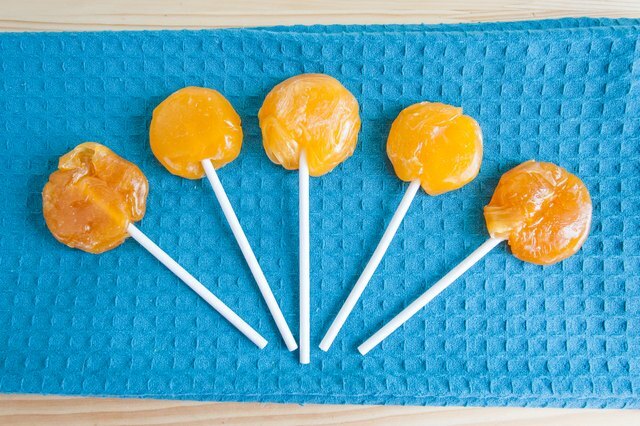 If you are using sticks, such as for lollipops, place them into the candies before they cool. Once fully cooled, after about 10 minutes, wrap isomalt candies individually in plastic and store them in a cool, dry place.